We are thrilled to welcome back leading Casting Director, John Ort! John has been working in Casting in NYC for over 10 years on high profile projects such as a recent Tom Hooper directed Capital One commercial. This class will focus on on-camera audition techniques for TELEVISION including the differences between approaching series regular material versus guest and co-starring roles. Based on your actor webpage, John will assign each actor sides to prepare prior to class. The class will begin with a Q&A with John. 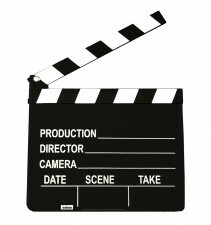 Each actor will be put ON-CAMERA and perform their sides which will be provided in advance. You will receive intensive feedback and adjustments from John and he will have you perform the scene again. Please go to MY ACCOUNT to create your One on One Webpage. It's especially important so that the casting director for this workshop can view your webpage! The area to build your webpage is located under "My Account." Please look for your sides to be posted approximately 1-3 days in advance. John Ort is a member of CSA. Recent credits include the music video Evolution featuring Siren, the feature film Narwhal American, the short film Etymology and musical readings Parallel Lines & Once Begun. Associate credits include Netflix’s Ozark, Younger seasons 1 & 2, the last 2 seasons of Royal Pains, the Unt. Sarah Silverman Pilot and Blindspot. Previously John was Manager of Casting for a Primetime Network in NY casting series regulars for numerous pilots and currently running series as well as overseeing the casting and production of the their annual Talent Diversity Showcase. After taking Alaine Alldaffer's class, Marco was called in to audition for the HUNTINGTON THEATER COMPANY! After meeting with Lauren Port at a private One on One session, Hayley was called in to audition for an Off-Broadway Play called Friend Art at the Second Stage Theater! After meeting Derek Christopher at One on One, Irena Cabrera from DDO called him in for a meeting and they are now working together for legit and commercial work! After taking David Cady's Commercial Casting Class and Showcase, Jessica was called in by Stewart Talent for a meeting! After meeting Brette Goldstein during the Advanced Industry Workshop, Luis was called in to audition for the project "AdFirm!" After meeting Brette Goldstein during the Advanced Industry Workshop, Paul-Emile was called in for "I Loved You...But I Lied" and booked it!